The Ape-X is the most accessible, “all-around” design yet from Canadian manufacturer, Monkeyfinger. With a more conventionally-shaped body and a comfortable feel in the hand, the Ape-X handles modern play easily while giving the player a more “classic” yoyo feel. It’s not the most stable throw out there for plane-bending tricks, but it has a solid, reassuring feel in the hand and plays lightly and quickly on the end of the string. The profile is a classic, rounded shape with a v-shape accent that give it a more modern look and feel. In an era where “zero wall” yoyos are becoming more and more popular, it’s a nice change of pace to use something that features a more classic, organic body shape. With a bead-blasted finish on the catch-zone, the yoyo grinds well and feels great in the hand. As you’d expect of any modern aluminum yoyo, it spins dead smooth. The Monkeysnot response works fine, but as with all flowable response applications it’s difficult to maintain consistency of play and can quickly become the impetus for #yoyodamage. The binds started off smooth and reliable but an air bubble in the response quickly turned into a tear, and I replaced the silicone with a standard 19mm pad. If you like and can manage the variables of flowable silicone, Monkeysnot works great. If you prefer something easier to maintain and are a fan of instant gratification, stick with pads. The anodizing and finish on the Ape-X are beautifully done! While our review model is not a production color, the finish quality is the same on the final production. We’re quite fond of our earth-tone, olive green with gold and blue splash, but the production colors are notably brighter and bolder. Monkeyfinger seems to be in the process of replacing/overhauling their packaging, and our review model only came in the customary fabric pouch. So, zero stars for packaging, but that’s only a reflection of their transition and not an actual commentary on the quality of packaging. Monkeyfinger avoids engraving on their yoyos, and instead opts for a subtle “ghost logo” anodized in a contrasting finish. The glossy Monkeyfinger icon on the matte portion of the yoyo is subtle but effective. Retailing for $105, the Ape-X isn’t a budget throw by any means, but it’s still reasonable for a high-end yoyo made in small batches by a boutique manufacturer. It’s still more reasonably priced than quite a few lesser performing yoyos, though, so we’re going to say that if you have the money, the price is right where it should be. Canadian contender Luckey Li shows off the new K!T by King Yo Star, and also illustrates why you should pay attention to your surroundings when you’re throwing in public. He almost nails two people in the first 0:45 of the video. Note to self: don’t stand next to Luckey at a contest. Yikes. This Friday, CLYW will finally release the Bonfire! Along with their new Winter 5-Panel Camper hat, this next part of CLYW’s new 2014 line will be available this Friday at 4pm (Mountain Time) only at CLYW.ca. I’m sure most of you guessed it, the design of the Bonfire is based off of the Campfire, but just … you know … BIGGER! We kept the same look, but under the hood it’s a different animal. 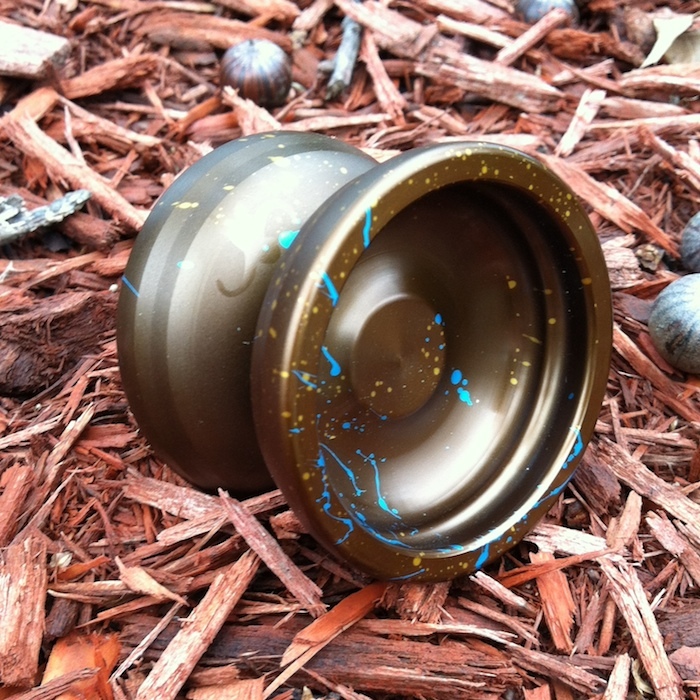 The original Campfire was known for being a pocket throw that is super stable, quick and long spinning. The Bonfire is built for fun and flowing tricks. It’s floaty in all the right ways making it similar in play to the Peak and Chief. Ever since Chuck got one, he can’t put it down. The Bonfire will be available in Part 2 of the 2014 Release, which will be dropping this Friday at 4pm (Mountain Time) at our store. Part 2 will include our new 5 Panels and the Bonfire. We’ve decided to split up the Bonfire and Puffin 2 due to time constraints with Christmas. So we’re going to be doing a Part 3, which will be scheduled for early/mid January and will include the Puffin 2 and more Yetis. We’re currently working with FedEx on a better rate for shipping to the US, so that we can guarantee arrival on these before Christmas. Keep your fingers crossed for us! Specs for the Bonfire are posted below, and if you missed our post about CLYW’s new 5-panel camper hats you can find it here. The good news just keeps on pouring down from the Great White North, doesn’t it? 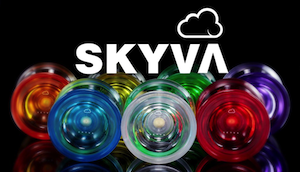 CLYW has now announced that in addition to the Friday release of the coloured Yetis, Arctic Circle: Second Expedition, and Gnarwhal 2, they’ll be dropping the first batch of their new custom string. On Friday Nov 22nd, we will also be releasing ‘Slackline‘, our brand new line of custom CLYW strings made right here in Canada. We wanted to develop a unique high end variety of string that incorporates all of the characteristics we value and love. Poly – A polyester string with the perfect tension. It has a lively bounce to it and is fantastic at holding it’s shape for slacks and suicides. Feels great on the fingers. Currently comes in Neon Green. Hybrid – The ultimate balance of Nylon and Poly. It’s super smooth on the fingers, lasts forever and holds shape really well. Whips feel like cheating with how quick this string moves through the air. Comes in Neon Yellow and White. Glow – The Polyester we know and love, but glows to the max! No word on pricing, but we’ll find out on Friday! And check out the glow….nice! The Forte is very much a vanity project for Monkeyfinger player Mike Montgomery. 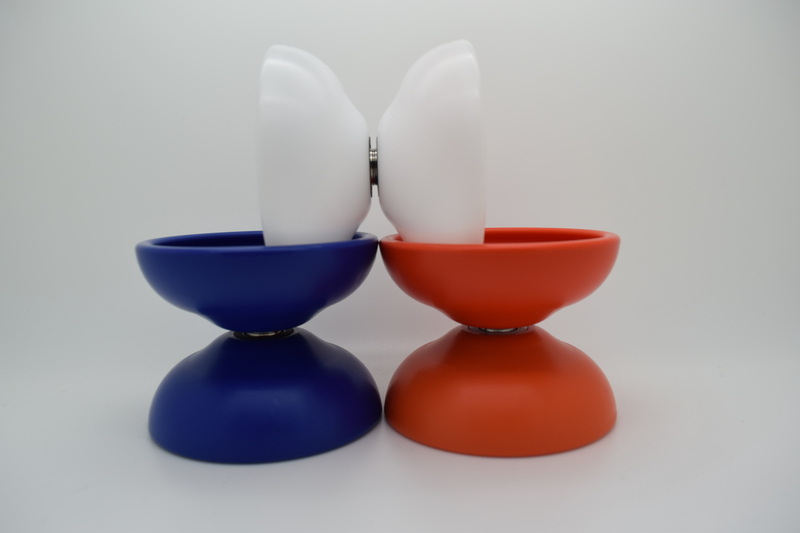 It’s not a yoyo that is going to have a wide player appeal…it was very obviously designed to a single person’s tastes and that comes across in the general play of the yoyo. The typically full-sized diameter combined with weighing 68 grams and measuring about 7mm narrower than most full-sized yoyos gives this a solid thwack as it hits your hand, and the threat of #yoyodamage with this bit of metal is very, very real. The yoyo spins dead smooth, but being both narrow AND heavy is a lot to ask of the average player. The yoyo does play quite well, though. Actually, it plays REALLY well. It’s remarkably stable and holds spin through pretty much anything you can throw at it. But the narrow profile makes it feel a bit awkward in the hand, and if you pull it back at full speed you stand a really good chance of regretting it. The Forte is machined nicely, but it’s not an attractive yoyo. Straight lines and hard angles all over, both in the profile and the inner cup area. It’s not that there’s anything wrong with plenty of straight lines…lots of yoyos go for that these days and it works wonderfully. But something about this yoyo being so narrow makes this look like a metal version of an early TMBR yoyo…very rudimentary. The black anodization is very uneven, appearing almost brown in places and looking worn through in others, both in the gap and the inner cup. I’m told this is intentional, but since it’s not a uniform finish the result is a bit odd. But to be fair, it’s not very noticeable unless you’re really inspecting it. Monkeyfinger gets some points for unique packaging, and the fabric pouches that are packaged with the yoyo are a nice touch. But the box graphics are a mess! The box carries a dark argyle & skull pattern, but then has pseudo-graffiti blow-apart diagram of the yoyo that looks to be simply carried over from other packaging…in spite of not even matching the Olde English Monkeyfinger logo. There’s so much going on that it’s hard to get any idea of what you’re looking at, and it’s genuinely difficult to recognize if Forte is the name of the yoyo or the company making it. At $125, this is not a casual purchase and it’s definitely not a bargain. At this price, it’s a commitment to a yoyo that plays well, feels odd, and looks…well, you can decide how it looks for yourself. I don’t care for the finish but opinions may vary. The Forte plays really nicely, but feels weird in the hand. If you’re looking for something narrow, heavy, and stable, look no further! This yoyo can handle a lot in the trick department, and the narrow width admittedly makes it a good everyday pocket throw. 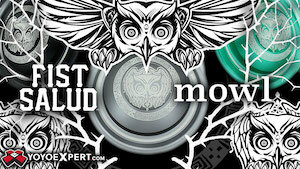 But it’s an oddball, for sure, and carries a high threat of #yoyodamage due to its weight and narrow profile.